One of the greatest invitations ever extended came from a Galilean carpenter's son. Few people paid attention to His invitation because it did not seem to make sense at the time. Yet today, people all over the world are considering how His invitation might change their lives: "Come to me, all who are tired and burdened, and I will give you rest." 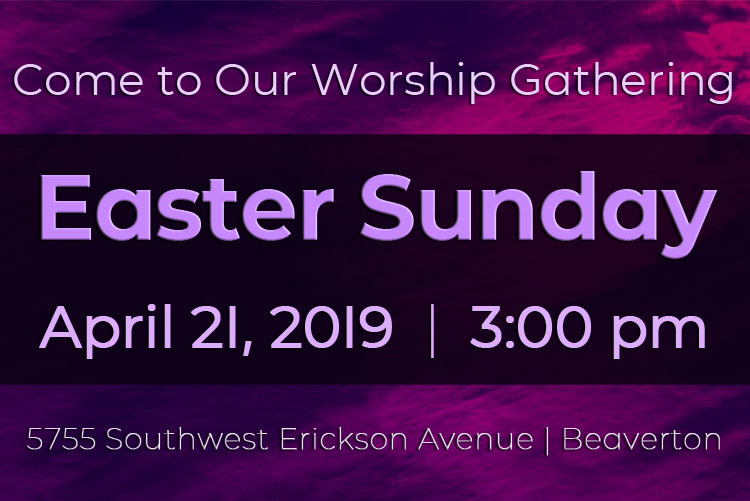 Common Ground will also consider this invitation when we celebrate Easter Sunday on April 21 at 3:00 pm. The gathering will feature community singing and music, special music, a message, and refreshments. Won't you join us? And please consider inviting a friend. Be in prayer for how God will ignite Christ's invitation of rest inside our hearts!